I had great fun at the Beat Poets Festival PDX Edition Sunday, September 6. It was my first time performing with a band and they were terrific. And that with only one rehearsal. Thanks to everyone who made this show possible, including a shoutout to Camille Perry who did all the work of organizing us. https://www.facebook.com/events/1620812828194791/. 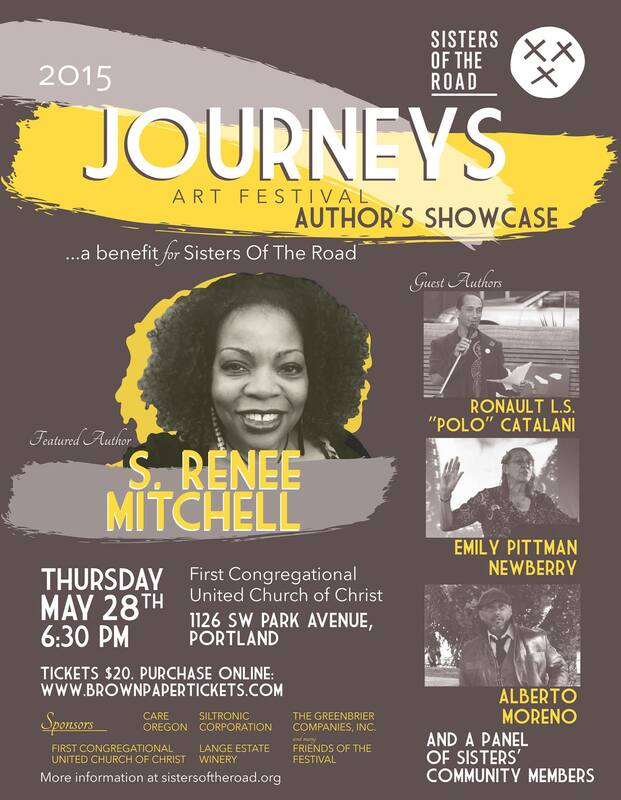 Please join me and other Portland writers and performers for this important fund raiser for Sisters of The Road Cafe Thursday, May 28th at First Congregational United Church of Christ at 6:30 pm. Located at 1126 SW Park Avenue in Portland. A Night of Storytelling in the Village! Doors Open at 7:00pm. Storytelling Begins at 7:30pm. Ages 21 and Over. No minors admitted. We won’t just give you the truth, the whole truth, and nothing but the truth—come to Truth Be Told and rest assured that you’ll get to hear the juicy bits, too. Chortle, cry, and grin as community members and professional storytellers tell stories from life about travel. The curated storytellers for this event are: Santigie Fofana-Dura, Edward Hershey, Jeremy Lucas, Emily Pittman Newberry, Catherine Rutledge-Gorman, and Donna Zerner. This event is presented by the Multnomah Arts Center Association with generous support from neighborhood businesses. Beer, wine, pizza, and soft drinks will all be available by donation. All proceeds benefit MACA, the Multnomah Arts Center Association, an all-volunteer 501(c)(3) nonprofit organization that supports the vibrancy and health of MAC through fundraising and advocacy. Wednesday, September 10, 6-7 pm at the John Wilson Special Collections, Multnomah County Central Library. Artist’s talk and poetry performance all about the book Water. Thursday, October 9, 4 pm, poet’s performance and talk all about the artist’s book Water. At the Stafford Library, Dickinson College, Carlisle, PA.
Sunday, December 14, 7 pm, poetry performance and artist’s talk all about the book Water. Stonehenge Studios, 3508 Corbett Ave., Portland.